Halloween is just around the corner! While this haunting holiday is often a magical time of year for kids filled with candy, costumes, trick-or-treating, pumpkin carving, and more, parents know that Halloween festivities can turn from fun to scary quickly. That’s why we’ve put together some top tips to help keep you and your family safe this Halloween. For more on Halloween safety, please visit the National Safety Council website today. 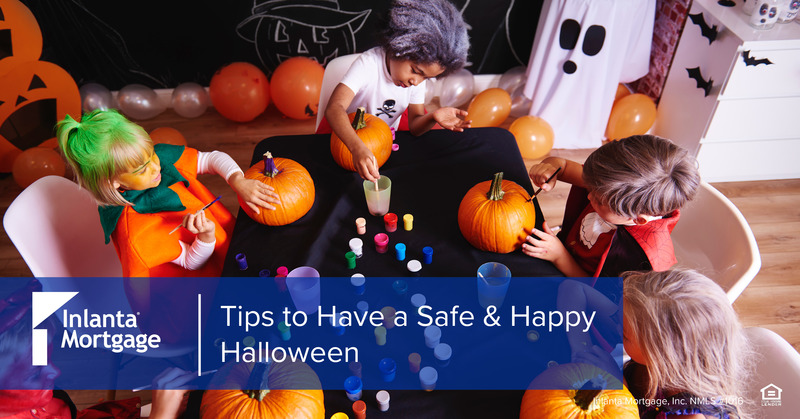 We hope these tips help prepare you to have a safe and spooky fun holiday. Happy Halloween from all of us at Inlanta Mortgage! This entry was posted in Holidays and tagged Halloween, Tips by Inlanta Marketing. Bookmark the permalink.